Having confidence is the key to success and get well respect from peers and business partners. It cannot be denied that having a great look from head to toe especially having a great hair will bring more self-confidence and happiness. *** Hair growth treatment needs at least 4 month continuously. The first 2 months require patience. The drugs will control variable factors that cause hair loss. The rate of hair loss might be comparable to the rate of hair growth, therefore during the first 2 months you may still have hair loss. 3rd month of treatment, the drugs are able to steadily retain hair loss. The development of new hair growth becomes more visible with sign of newly short hair. 4th month, from now on, amount of new hair growth will increase and hair will be longer and thicker obviously. 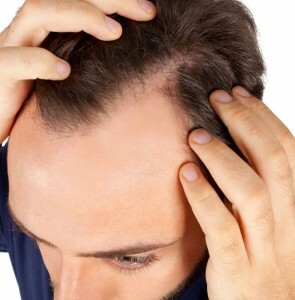 People with thinning hair or baldness may require 2 years or longer of continuous treatment. In middle age with thinning hair in central area or a retraction of the front hair line may require 1 ½ – 2 years of continuous treatment. In adolescent or modest hair loss may require 1 year of continuous treatment. Principle: Doctor will gradually decrease drug dosage when the patient gets satisfied (a period when you have taken variety forms of drugs; pills, hair sprays, shampoos to counteract hair loss and speed up hair growth until maximum effect achieves in the highest amount, the strengthen, the length, and thickness of hair). Similarly to driving, we have to step on the accelerator in order to make the car moving. To stop the car, we softly push the break pedal, so the car will not twitch or knock. At this time tail off drugs also will be prescribed to gradually slow down the growth of new hair. Tail off drugs function to retain amount and condition of existing hair and to prevent hair loss to return easily. That is why it is also called “Tail Off Drugs”. Before discontinuing tail off drugs, doctor will prescribe another medication to maintain hair thickness so that it will last as long as possible. The dosage of this drug is 1 ½ pills per day. The drug is very effective and also safe for long term consumption. 5. It is highly recommended to continue taking tail off drugs and maintenance drugs as long as possible or at least 2 months each. – The hair growth and diminish hair loss drugs, tail off drugs and maintenance drugs are taken after meal time. – If you forget any dose, you may resume medication immediately. – It is very vital to focus on fulfilling full dosage. – External Drugs: hair shampoos and sprays can be applied even after you are off medication.